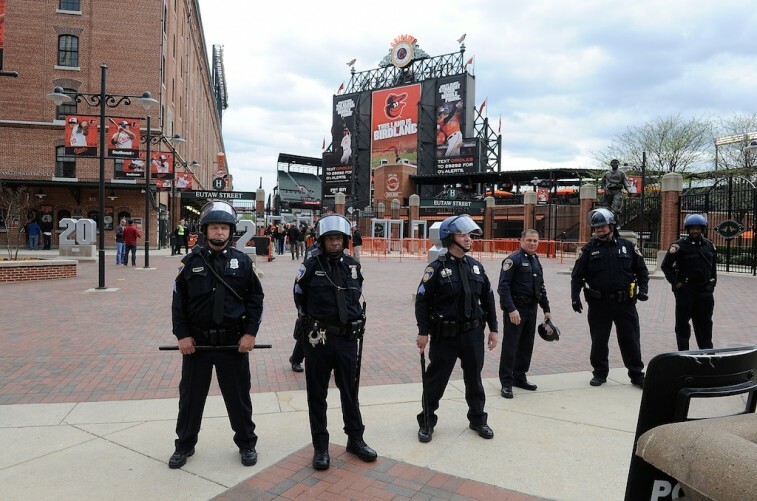 On Monday evening, the Baltimore Orioles and Chicago White Sox were set to begin the first of their three-game series at Camden Yards when the escalation of riots following Freddie Gray’s funeral changed things. Due to safety concerns, Major League Baseball intervened and decided to postpone that night’s game. Commissioner Rob Manfred, who was already in Baltimore because of a previously planned visit, addressed the media following the announcement. “The decision was reached after consultation with local officials,” said Manfred. “We feel like we made the decision that would provide us the greatest possible security in terms of protecting the fans, the players, the umpires, everybody involved in the game. At the time, no decisions had been made with regard to the rest of the series. However, the commissioner didn’t rule out the possibility of switching venues. You can’t fault the commissioner for being reluctant to comment any further. This is, after all, a delicate matter. However, if you look at the upcoming schedule, moving the games to Washington is absolutely plausible. The Nationals are currently on the road for a three-game series against the Atlanta Braves. When that wraps up, Washington will head to New York to take on the Mets. This four-games series starts on Thursday and will conclude on Sunday. Afterwards, the Nationals will return home on May 5 to begin a three-game set against the Florida Marlins. At no time during these dates is there a conflict with the Baltimore Orioles. Following their series with the White Sox, the Orioles are set to host the Tampa Bay Rays from May 1 until May 3. after which Baltimore will be on the road through May 10, when they conclude a series at the New York Yankees. We’re not saying that the league is prepared to shift this week’s remaining Orioles games to Washington — that would be presumptuous. But it shouldn’t be ruled out of the realm of possibility, either, especially since it was just announced that Tuesday’s Orioles-White Sox game would be postponed, too. Other than the fact that Monday’s game was postponed and Tuesday’s matchup will follow suit, nothing at the moment is certain with regard to baseball in Baltimore. And if you ask us, that’s perfectly OK. What’s happening in the city supersedes sports. This situation deserves to be handled with the utmost care, and no decision should be rushed. 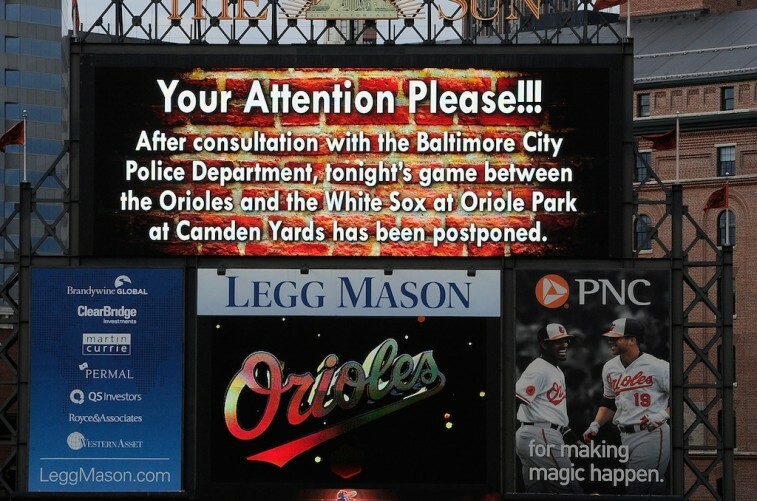 While we’d love to see the Orioles return to Camden Yards as soon as possible, we know that the safety of people within the city should be the top priority. It’s just a shame things had to turn violent.